Kit includes Single Ply Liner section, 2 part removable tee, tee cap, top plate with a built-in storm collar, round cap, fasteners, Installation instructions and warranty card. Most liner kits ship UPS or FedEx. Tested and approved to UL1777 zero clearance standards. 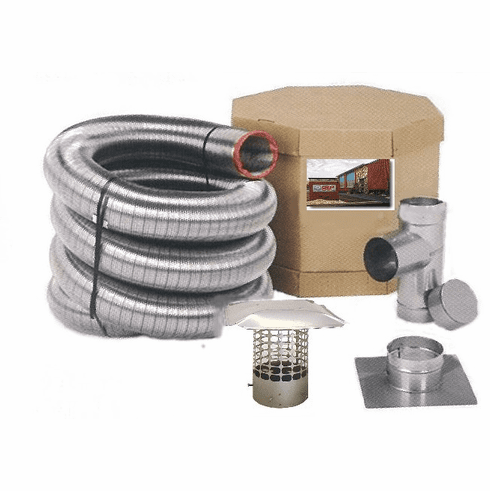 You won't find a lower price single ply chimney liner kit anywhere on the web guaranteed! Stainless Steel Lifetime Warranty.